Find Here Publication, Favourites, Principles, Lessons, thoughts of Paramjeet Singh Jamwal, Former Assistant Professor (with M.Tech, ICE, SLIET Longowal, 2015, and B.Tech, EEE, COER Roorkee, 2011), and Founder, INFO4EEE, 2012. Paramjeet Singh Jamwal was born in Badhera, Himachal Pardesh, India in 1988. He received his B.Tech degree in Electrical and Electronics Engineering (EEE) from College Of Engineering Roorkee (COER), Roorkee, Uttarakhand, India in 2011. He received his M.Tech degree in Instrumentation and Control Engineering (ICE) from Sant Longowal Institute of Engineering and Technology (SLIET), Deemed to be University, Longowal, Punjab, India in 2015. He has 03+ (THREE PLUS) Years of teaching experience. He started his career as a Lecturer in the Electronics and Communication Engineering (ECE) Department of Guru Nanak Education Trust (GNET) Group of Institutions, Roorkee, Uttarakhand, India and worked from Jun 2011 to Jun 2013. After his M.Tech, He worked as an Assistant Professor in Electrical and Electronics Engineering (EEE) Department of PHONICS Group of Institutions, Roorkee, Uttarakhand, India and worked from Feb 2016 to Jan 2017. 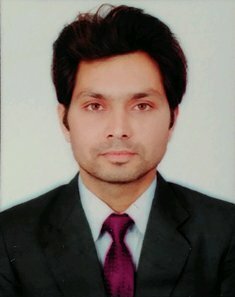 Thereafter, He worked as an Assistant Professor in the Electrical and Electronics Engineering (EEE) Department of Roorkee College of Engineering (RCE), Roorkee, Uttarakhand, India from Jan 2017 to July 2017. His Area of Interest is Power Electronics, Electric Drive, Optimization, and Image Processing. He did his M.Tech Thesis work on "Design and Simulation of Improved Power Quality Buck-Boost Converter for PMSM Drive" under the guidance of Dr. Sanjeev Singh, Associate Professor, EIE Department, SLIET. He did his B.Tech Project on "Medical Image Compression" under the guidance of Dr. Akhilendra Singh Yadav, Assistant Professor, EEE Department, COER. He has 04 (Four) Publication in which 01 (One) is in International Journal and 03 (Three) is in International Conference. If I am really tired with the system of our country and expecting when it will be normal. then one thing I will have to do is perform my duty and through out the fear which i have inside me. Maya is an artful deceiver, treat her with great care because you never know in which form and in which way she seeks to tempt you. Example- Maya is like a distraction created by others. Paramjeet Singh Jamwal is an Electrical Engineering Professional.. Simple theme. Theme images by gaffera. Powered by Blogger.